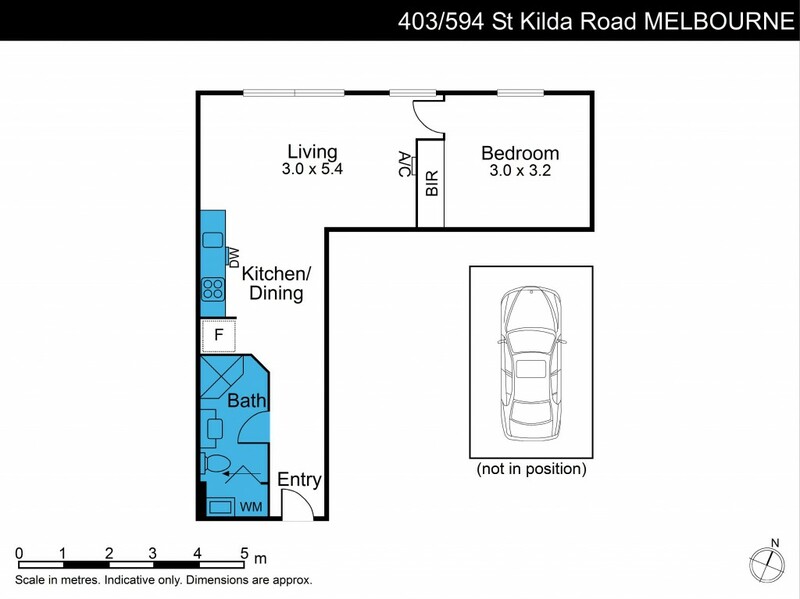 A first home buyers dream and ready to move in now or a great investment opportunity. This modern one bedroom apartment with a secure car space has been price reduced for immediate sale. Comprising open plan living and dining area including a stylish galley style kitchen with gas cooktop, under bench oven, range hood and dishwasher. Spacious double bedroom with mirrored built in robes and the bathroom includes laundry facilities. Features also include secure intercom entry, split system heating/cooling and excellent resident facilities including swimming pool, gymnasium and building manager. The position is absolutely first class with passing tram and within easy access to the centre of the city, Arts precinct, Alfred Hospital,Toorak Road, Chapel Street, Prahran Market, Albert Park Lake, Golf Course and Fawkner Park.